International Symposium on Advanced Computing and Communication (ISACC-2015) held on 14th-15th September, 2015 at Assam University, Silchar, India. International Conference on Information, Communication and Computing Technology (ICICCT-2017) held on 13th May, 2017 at Jagan Institute of Management Studies (JIMS), India. International Conference on Information, Communication and Computing Technology (ICICCT-2018) held on 12th May, 2018 at Jagan Institute of Management Studies (JIMS), India. International Conference on Image and Graphics Processing (ICIGP 2018) held on 24th-26th February, 2018 at Hong Kong, China. Badal Soni, Pradip K. Das and Dalton Meitei Thounaojam, “Geometric transformation invariant block based copy-move forgery detection using fast and efficient hybrid local features”, Journal of Information Security and Applications, vol. 45, pp. 44-51, 2019. Badal Soni, Pradip K Das and Dalton Meitei Thounaojam, “CMFD: a detailed review of block based and key feature based techniques in image copy-move forgery detection”, IET Image Processing, vol. 12, no. 2, pp. 167-178, 2018. Badal Soni, Pradip K Das and Dalton Meitei Thounaojam, “Keypoints based enhanced multiple copy-move forgeries detection system using density-based spatial clustering of application with noise clustering algorithm”, IET Image Processing, vol. 12, no. 11, pp. 2092-2099, 2018. Amit Kumar Trivedi, Dalton Meitei Thounaojam and Shyamosree Pal, “A robust and non-invertible fingerprint template for fingerprint matching system”, Forensic science international, vol. 288, pp. 256-265, 2018. Chitralekha Chongtham, MJ Sanada Khumanthem, Y Jina Chanu, Neelima Arambam, Dalton Meitei Thounaojam, P Roji Chanu and Kh Manglem Singh, “A Copyright Protection Scheme for Videos Based on the SIFT”, Iranian Journal of Science and Technology, Transactions of Electrical Engineering, vol. 42, no. 1, pp. 107-121, 2018. Nilesh Dilipkumar Gharde, Dalton Meitei Thounaojam, Badal Soni and Saroj Kr Biswas, “Robust perceptual image hashing using fuzzy color histogram”, Multimedia Tools and Applications, vol. 77, no. 23, pp. 30815–30840, 2018. Badal Soni, Pradip K. Das and Dalton Meitei Thounaojam, “Dual System for Copy-move Forgery Detection using Block-based LBP-HF and FWHT Features”, Engineering Letters, vol. 26, no. 1, pp. 44-51, 2018. Saroj Kumar Biswas, Manomita Chakraborty, Biswajit Purkayastha, Pinki Roy and Dalton Meitei Thounaojam, “Rule extraction from training data using neural network”, International Journal on Artificial Intelligence Tools, vol. 26, no. 3, 2017. Dalton Meitei Thounaojam, Vivek Singh Bhadouria, Sudipta Roy and Kh Manglem Singh, “Shot boundary detection using perceptual and semantic information”, International Journal of Multimedia Information Retrieval, vol. 6, no. 2, 2017. Dalton Meitei Thounaojam, Thongam Khelchandra, Kh Manglem Singh and Sudipta Roy, “A genetic algorithm and fuzzy logic approach for video shot boundary detection”, Computational intelligence and neuroscience, vol. 2016, pp. 14, 2016. Barga Deori and Dalton Meitei Thounaojam, “A survey on moving object tracking in video”, International Journal on Information Theory, vol. 3, no. 3, pp. 31-46, 2014. Hidangmayum Saxena Devi, Dalton Meitei Thounaojam and Romesh Laishram, “An Approach to Illumination and Expression Invariant Multiple Classifier Face Recognition”, International Journal of Computer Applications, vol. 91, no. 15, 2014. Dalton Meitei Thounaojam, Sudipta Roy, Kh Manglem Singh, “Video shot boundary detection using gray level cooccurrence matrix”, Indian Journal of Science and Technology, vol. 9, no. 7, 2016. Hidangmayum Saxena Devi, Dalton Meitei Thounaojam, “Heterogeneous Techniques used in Face Recognition: A Survey”, ADBU Journal of Engineering Technology, vol. 3, 2015. 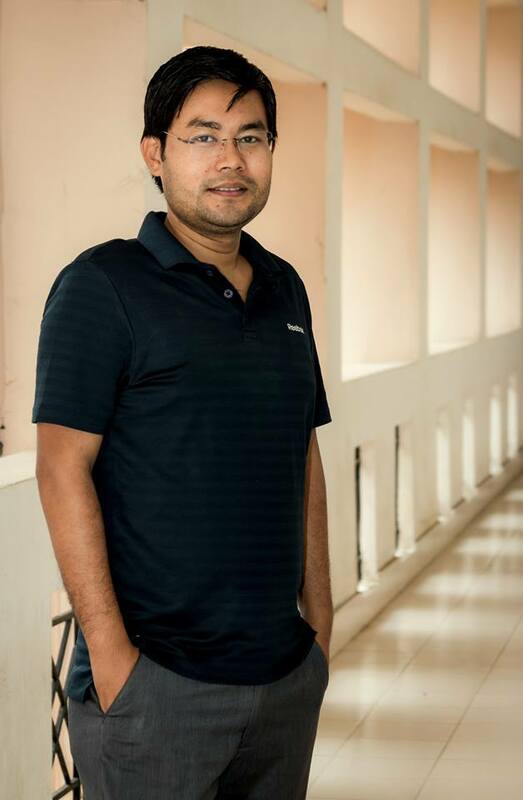 Badal Soni, Pradip K Das, Dalton Meitei Thounaojam, “multiCMFD: fast and efficient system for multiple copy-move forgeries detection in image”, in International Conference on Image and Graphics Processing, pp. 53-58, ACM, 2018. Badal Soni, Pradip K Das, Dalton Meitei Thounaojam, “Improved Block-based Technique using SURF and FAST Keypoints Matching for Copy-Move Attack Detection”, in International Conference on Signal Processing and Integrated Networks, pp. 197-202, IEEE, 2018. Badal Soni, Pradip K Das, Dalton Meitei Thounaojam, “Copy-Move Tampering Detection based on Local Binary Pattern Histogram Fourier Feature”, in International Conference on Computer and Communication Technology, pp. 78-83, ACM, 2017. Badal Soni, Pradip K Das, Dalton Meitei Thounaojam, “Blur Invariant Block based Copy-Move Forgery Detection Technique using FWHT Features”, in International Conference on Watermarking and Image Processing, pp. 22-26, ACM, 2017. Ananya SenGupta, Dalton Meitei Thounaojam, Kh Manglem Singh, Sudipta Roy, “Video shot boundary detection: A review”, in International Conference on Electrical, Computer and Communication Technologies, pp. 1-6, IEEE, 2015. Hidangmayum Saxena Devi, Romesh Laishram, Dalton Meitei Thounaojam, “Face recognition using R-KDA with non-linear SVM for multi-view database”, in Procedia Computer Science, vol. 54, pp. 532-541, Elsevier, 2015. Barga Deori and Dalton Meitei Thounaojam, “Extended Kalman Filtering based Multiple Object Tracking in Image Sequences”, in International conference on ICISP, pp. 315-323, Elsevier book, 2014.